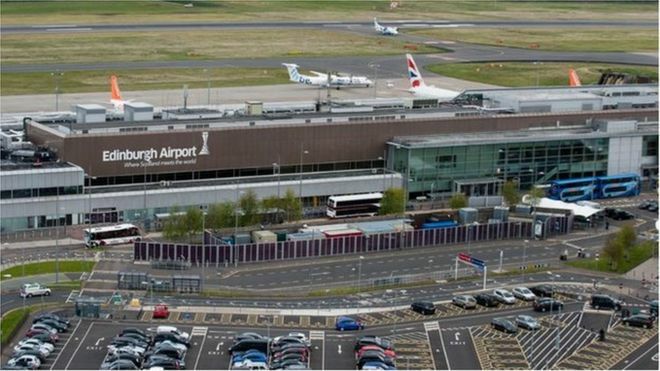 EDINBURGH, UK — A new initiative aimed at recycling coffee cups at Edinburgh Airport aims to cut down on the number going to waste. Almost 3 million cups are sold at the airport each year, which if laid side by side would stretch all the way to Ireland. A new partnership will see steps taken to reduce that number. Whilst many retailers within the airport offer incentives for customers using reusable coffee cups, the new bins provide the facilities to collect coffee cups which will then be taken to a specialist recycling facility where they can then be recycled into products such as writing paper and packaging. ‘The issue of single use plastics and coffee cups and the problems they pose is something that has gathered momentum and it’s only right that we all play our part in reducing or controlling their use. ‘Whilst passengers want to be able to do the right thing it isn’t always possible for them to take a re-usable cup when travelling; as such engaging with them and providing the means for them to make a sustainable choice after finishing their drink is key.